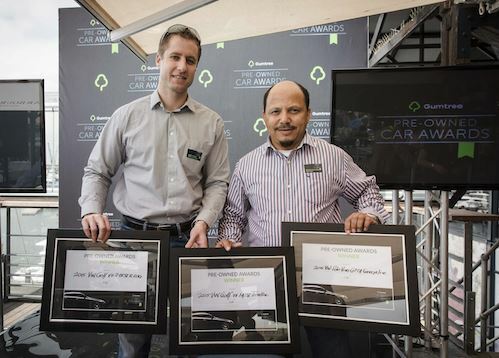 Volkswagen scooped the most wins at the inaugural Gumtree Pre-Owned Awards, taking home three First place wins, two Second places and two People's choice awards. Gumtree found the best value performing cars per category by looking at the percentage of retail value retained from the vehicles new price list from its year of registration and the value depreciation percentage in the last year. The finalists were then judged by a panel of motoring media and other motoring experts based on a road test and certain criteria including; Overall Value for Money, Look and Feel, Standard Equipment, Safety Features, Engine Performance, Drivetrain, Brakes, Ride Quality, Warranty and Maintenance Plans, Out of Maintenance Risk, Parts package for the vehicle, Mechanical Reliability, History and Perception, Desirability, Affordability and Vehicle Verification Report. The 2015 Volkswagen Polo Vivo GP 1.4 Conceptline was won the 'Light Hatch under R140 000' category as well as the People's Choice Award in the same category. In the 'Medium Hatch under R260 000' category, the 2015 Golf 7 1.4 TSI Trendline took top spot and the People's Choice Award, with the 2015 Polo GP 1.2 TSI Highline coming in second place. The 2015 Amarok 2.0 BITDI HIGHLINE model was runner up in the 'Double Cab Bakkies' category. Rounding off the awards for Volkswagen was the 2015 Golf 7 2.0 TSI R (DSG) which claimed the 'Performance Hatch' category.